Iraq's Kurds said Sunday they will hold an independence referendum "whatever the risk and price", despite threats of retaliation from the country's central government on the eve of the vote. 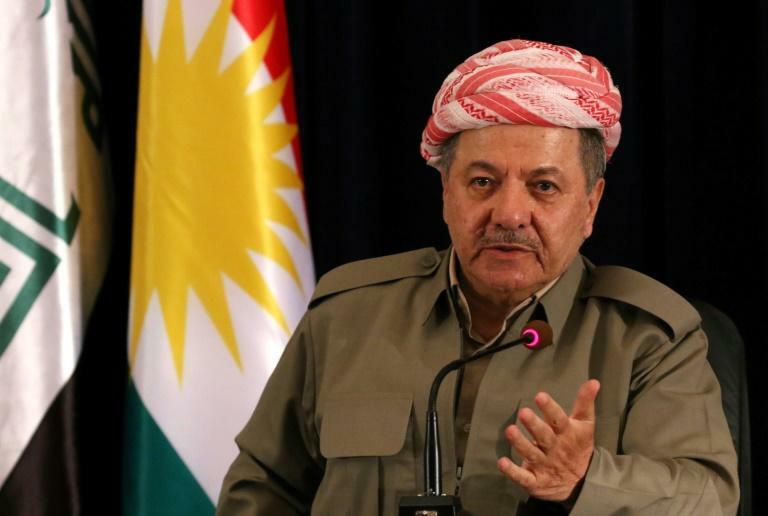 Massud Barzani, the leader of oil-rich Iraqi Kurdistan, said his people's partnership with Baghdad had failed and that the plebiscite would proceed as planned on Monday. Prime Minister Haider al-Abadi, speaking on television soon after, threatened to take the "necessary measures" to protect Iraqi unity, and his government urged all countries to deal only with it on oil transactions. At a news conference in Arbil, capital of autonomous Iraqi Kurdistan in the north of the country, Barzani urged his people to turn out and vote. "The partnership with Baghdad has failed and we will not return to it," the Kurdish leader said. Barzani has resisted pressure from Baghdad, neighbouring states and Washington to call off the non-binding referendum and negotiate a new deal. "The referendum is not for defining borders or imposing a fait accompli. We want a dialogue with Baghdad to resolve the problems, and the dialogue can last one or two years," Barzani said of disputed zones such as oil-rich Kirkuk and over oil exports. In his televised address, Abadi said that taking a unilateral decision to stage a referendum affected both Iraqi and regional security, and was "unconstitutional and against civil peace". "We will take the necessary measures to preserve the unity of the country," the prime minister said, without elaborating. "Iraq will remain for all Iraqis. We will not allow it to become a possession of one or the other, and we will not permit anyone to play with Iraq and not pay the consequences." In a statement late Sunday, Iraqi President Fuad Massum, who himself is Kurdish, criticised Barzani's "unilateral decision" to hold the referendum. But Massum also called on leaders in Arbil and Baghdad to avoid any escalation and to reject any "provocative and extremist positions". Iraq's neighbours Iran and Turkey strongly oppose the referendum, as both have their own Kurdish minorities and fear the vote will stoke separatist aspirations at home. Tehran upped the pressure on Sunday, saying it had blocked all flights to and from Kurdistan at Baghdad's request. Turkey's President Recep Tayyip Erdogan and his Iranian counterpart Hassan Rouhani spoke about the referendum in a telephone call, Turkish presidential sources said late Sunday. They pointed to the "chaos" the vote would bring to the region while stressing the "great importance" they attached to Iraq's territorial integrity. Washington and many Western countries had called for the vote to be postponed or cancelled, saying it would hamper the fight against the Islamic State group (IS). 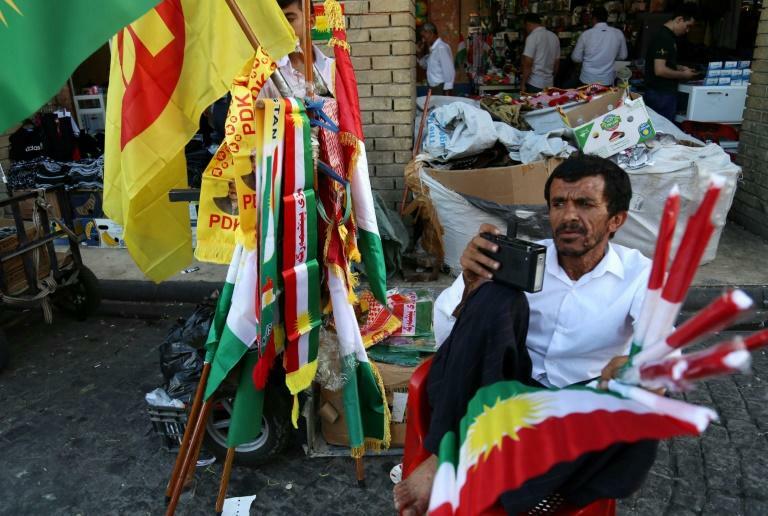 But in Arbil, Barzani's political heartland, Kurdish flags were flying everywhere. Most in the city said they would vote, but some also feared the possible consequences. "We look forward to hearing what the situation will be after September 25, as most Kurds will vote for independence to fulfil our dream of an independent state," said labourer Ahmad Souleiman, 30. "What we're afraid of is that our enemies have evil intentions towards us." Some five million Kurds are expected to vote in the three provinces that have since 2003 formed the autonomous region of Iraqi Kurdistan but also in territories disputed with Baghdad such as oil-rich Kirkuk province. 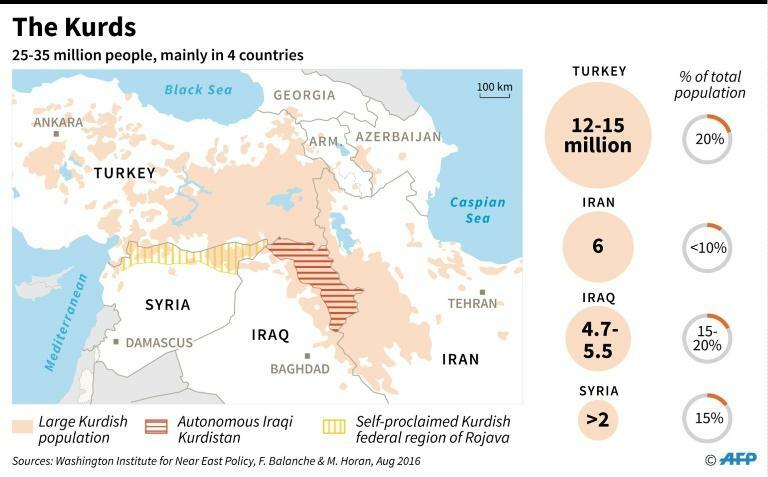 While an independent homeland has long been an aspiration in the Kurdish diaspora, the ethnic group's two main parties in Iraq differ on how to make it a reality. Barzani's Kurdistan Democratic Party (KDP) and the Patriotic Union of Kurdistan (PUK) of Jalal Talabani, a former president of Iraq, are at opposite ends of the spectrum politically on the issue. The PUK has backed an alternative plan put forward by the United Nations, and supported by Washington, for immediate negotiations on future relations in exchange for dropping the referendum. In Sulaimaniyah, the PUK-controlled second city of the autonomous Kurdish region, enthusiasm for the vote was muted. "I will vote 'no' tomorrow because I'm afraid of an embargo on the region, of civil war with the Hashed al-Shaabi (grouping of Shiite paramilitaries), and waking up and seeing Turkish soldiers patrolling," said 30-year-old teacher Kamiran Anwar. The most sensitive sticking point is Kirkuk where there was a run on food supplies in the city Saturday as residents stocked up in case of post-referendum trouble. Home to Kurds, Arabs and Turkmens, Kirkuk is disputed between the federal government and Iraq's Kurds who say it is historically theirs. They argue that late dictator Saddam Hussein's forces had chased the city's Kurdish residents and replaced them with Arabs. Threats are growing inside Iraq against the Kurdish move. "There will be a high price to pay by those who organised this referendum, a provocation aimed at destroying relations between Arabs and Kurds," said Faleh al-Fayad, leader of the Hashed al-Shaabi units created in 2014 to fight IS. "As soon as the referendum takes place there will be a legal and constitutional reaction."